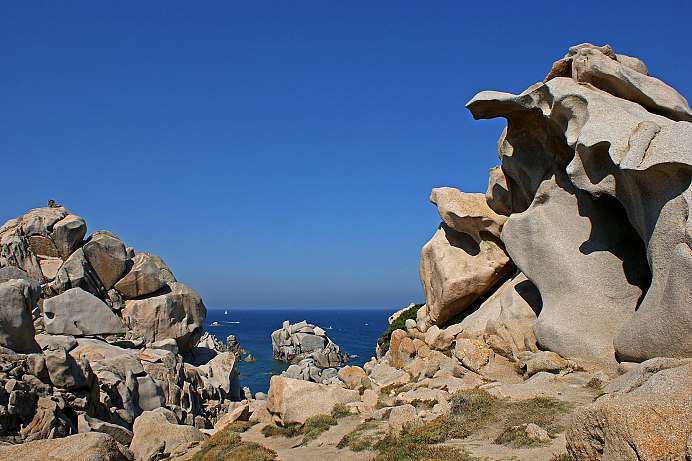 The Bay between Sardinia and Corsica is named after the Island of Asinara, which is currently a nature preserve. 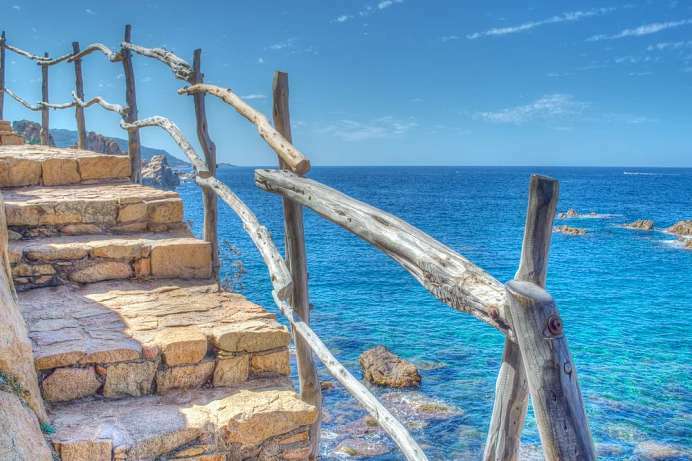 It extends from Capo Falcone in the West to Capo Testa, from which you can see Corsica in the distance. The beaches are less crowded than on the Costa Smeralda bordering to the East. 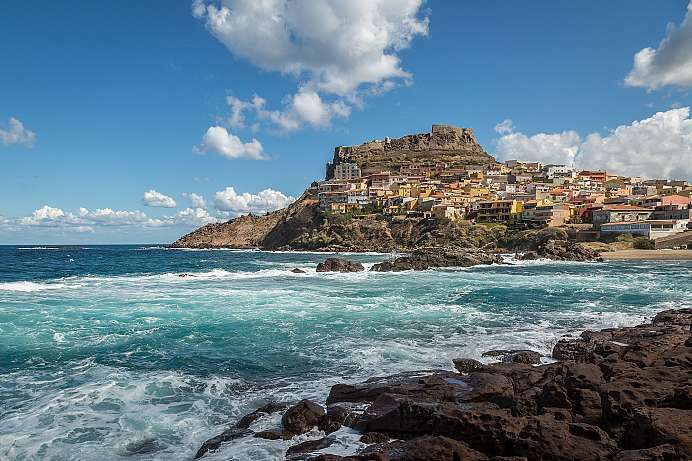 In addition to the beautiful beaches of the Costa Paradiso, you can visit historic towns such as Castelsardo. Further inland, the lonely Limbara mountains, with their wild donkeys and cork-oak forests, rise skyward. In the shadow of a Genoese fortress, the coastal town crouches on the rocks, where it enjoys a beautiful view of the Gulf of Asinara. The panorama reveals why the Genoese once settled on the steep ledge: from here one can overlook the entire strait between Sardinia and Corsica – on a clear day even the neighboring island. Between port and old town there are numerous restaurants and panoramic terraces. The medieval center on top of the rock is closed to car traffic. The artificial mountain is supposed to be more than 6,200 years old! The monument was excavated in the 1950s and to this day riddles the archaeologists. 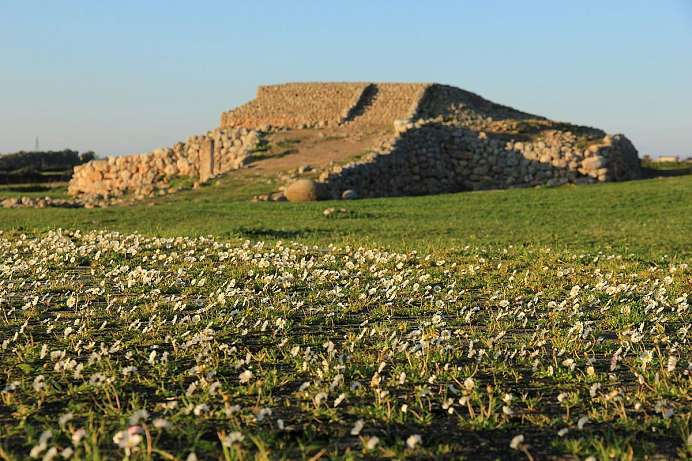 It is unique in the Mediterranean, but there are similar structures in Mesopotamia, which were used as altar mountains: One example being Moria, where Abraham wanted to sacrifice his son Isaac. Today it is believed that the Monte d'Accoddi was used as a place of pilgrimage and sacrifice. The large plates would have been the sacrificial tables and the holes on the edge of the plates could have served the tying down of animals. Guided tours are available. The island, which is 18 km long, was used as a prison for members of the mafia and criminals from all over Italy until 1997 – much to the chagrin of Sardinia. During the Frist and Second World Wars, the island served as a prisoner of war camp. Few prisoners survived on the island due to the widespread malaria (the swamps had not yet been drained). The island features diverse plant and animal life, as the ecosystem has remained largely untouched. 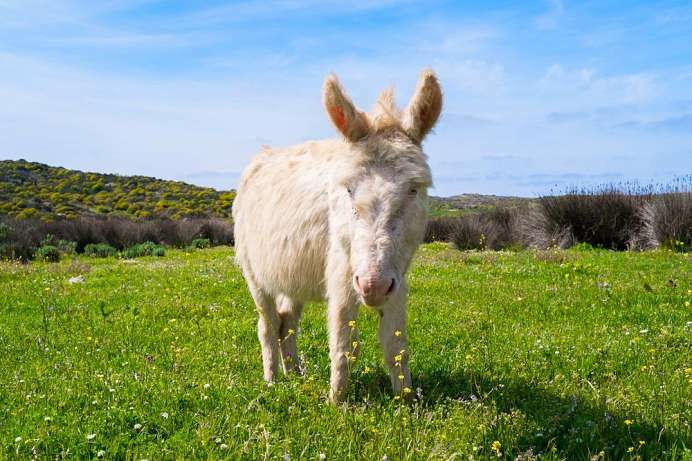 Of particular interest are the 80 white donkeys, which are under strict protection. The entire island was thus made into a national park.